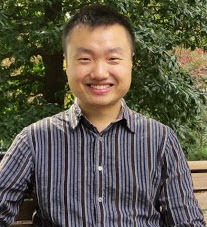 Dr. Zhaoyu Wang is the Harpole-Pentair Assistant Professor with Iowa State University. He received the B.S. and M.S. degrees in electrical engineering from Shanghai Jiaotong University in 2009 and 2012, respectively, and the M.S. and Ph.D. degrees in electrical and computer engineering from Georgia Institute of Technology in 2012 and 2015, respectively. He was a Research Aid at Argonne National Laboratory in 2013 and an Electrical Engineer Intern at Corning Inc. in 2014. His research interests include power distribution systems, microgrids, renewable integration, power system resilience, and power system modeling. He is the Principal Investigator for a multitude of projects focused on these topics and funded by the National Science Foundation, the Department of Energy, National Laboratories, PSERC, Iowa Energy Center, and Industry. Dr. Wang received the IEEE PES General Meeting Best Paper Award in 2017 and the IEEE Industrial Application Society Prize Paper Award in 2016. Dr. Wang is the Secretary of IEEE Power and Energy Society Award Subcommittee. He is an editor of IEEE Transactions on Power Systems, IEEE Transactions on Smart Grid and IEEE PES Letters and an associate editor of IET Smart Grid. Power Distribution Systems, Networked Microgrids, Power System Resilience, Renewable Integration, Load Modeling. Preference will be given to those who have strong mathematical background, good programming skills and are familiar with one or more of the following tools: MATLAB/Simulink, C/C++ ,JAVA, PSCAD, DIgSILENT, OpenDSS, PSS/E, PSLF, MATPOWER, CPLEX, GAMS, AMPL. If you are interested in my research, please apply to the graduate program of ISU and email me at wzy@iastate.edu. Iowa State University has maintained one of the nation's leading power and energy/power electronics university programs for over 60 years. Faculty in this area work together within the Electric Power and Energy Systems (EPES) group within the Department of Electrical and Computer Engineering. These faculty participate heavily in the ISU EPRC, the ISU EPES Short Course Program, and the 13-university PSERC. Iowa State's nearly 2000-acre campus is located in the city of Ames, Iowa, which is consistently ranked within the top ten most livable small cities in the nation.